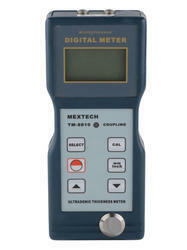 We are engaged in trading of a comprehensive range of thickness meter. These are manufactured in compliance with leading industry standards at the facility of the vendors to ensure these finds application various segments. 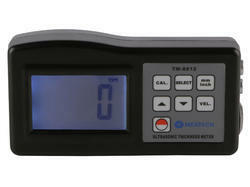 Our range of meters can be availed at market leading prices by the clients based in various parts of India. 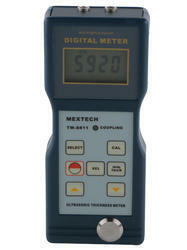 We are offering a wide range of Digital Thickness Meters TM8812 which is used for measuring thickness and corrosion of pressure vessels, chemical equipment, boilers, oil storage tanks, etc. in industries of petroleum, ship building, power station, and machine manufacturing. Applicable to Measure the Thickness of Many Materials Steel, Cast Iron, Aluminum, Red Copper, Brass, Zinc, Quartz Glass, Polyethylene, PVC, Grey Cast Iron, Nodular Cast Iron. Applicable to Measure the Thickness of Many Materials Steel, Cast Iron, Aluminium, Red Copper, Brass, Zinc, Quartz Glass, Polyethylene, PVC, Grey Cast Iron, Nodular Cast Iron.